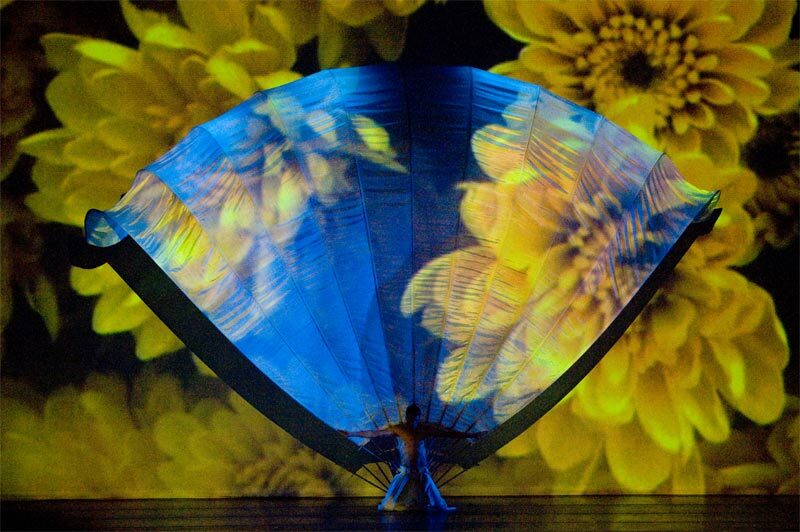 Upon first seeing the trailer for Botanica, I thought: here it is, a performance that might actually make use of the exciting psychedelic potentials that movement has to offer! 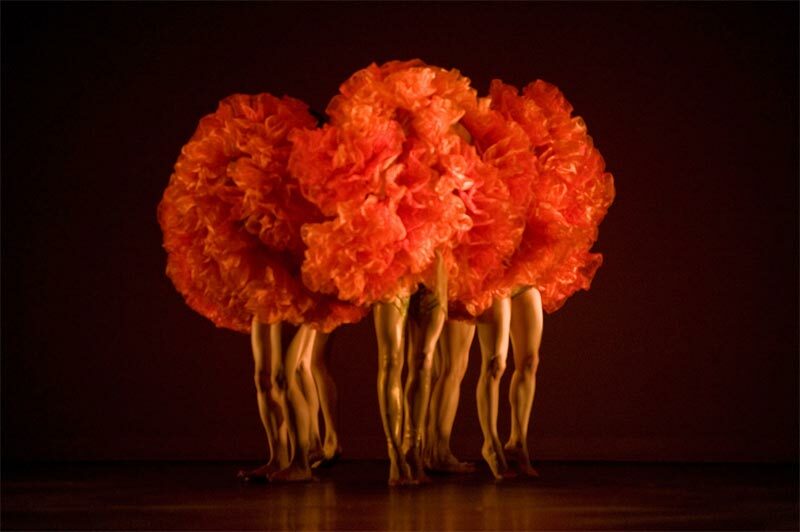 Botanica breathes like a nature painting come to life, rooted in hypercolored projected imagery and manipulation of the human body through the use of unusual costumes and props. But powerful as it is when captured via still images, Botanica is a mixed bag when displayed as movement art; it delivers brilliantly in some regards but falls short in others. As previously mentioned, the most vital elements to the art direction and execution of Botanica are its reliance on video projections and props, which include everything from mechanized gadgets and human-controlled puppets to banners, faux trees, plastic tubes, tutus, and blacklights. The conceptual framework underpinning Botanica is impressive, but I was left feeling as though the show itself is still at the starting end of its potential. Its use of video projections was constant, but only occasionally did they contribute to the overall effect; in fact, their low resolution and lack of movement seemed to place limits on an otherwise very dynamic medium. Yet such things are totally minor, and my prime complaint about Botanica would be that it sometimes focuses too much on the macro — the underlying concepts and images individuals would puzzle together to create — than on the micro. Sitting front and center as I was, the overarching message was sometimes lost from my vantage point, perhaps better viewed by those sitting further away; challenging dance routines fell by the wayside in exchange for big-picture visual ideas that make for excellent stills but could have used more innovation in the physical movements themselves. This realization hit me directly following a very powerful dance performance which made little use of props. The routine, which is towards the end of the show, features fierce and powerful warrior women being carried by men, and the entire piece is an exercise in controlled chaos, with animalistic undertones. I was reminded then that the dancers can indeed dance, but that most of Botanica does not allow their skills to flower completely. The rare pieces which truly stand out from Botanica are those infused with equal strength in both prop and athleticism. 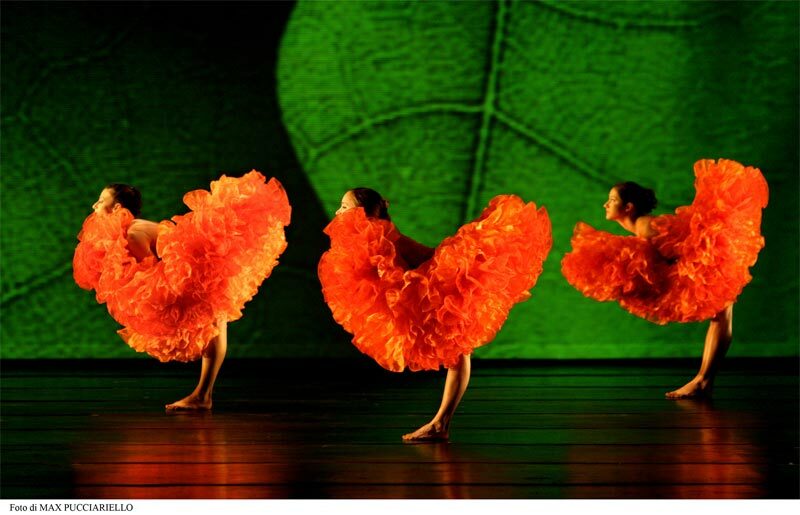 The opening sequence, for example, features dancers emerging and receding from beneath opaque fabric like cresting waves, tickling patrons with mystery and intrigue with their every ebb and flow. 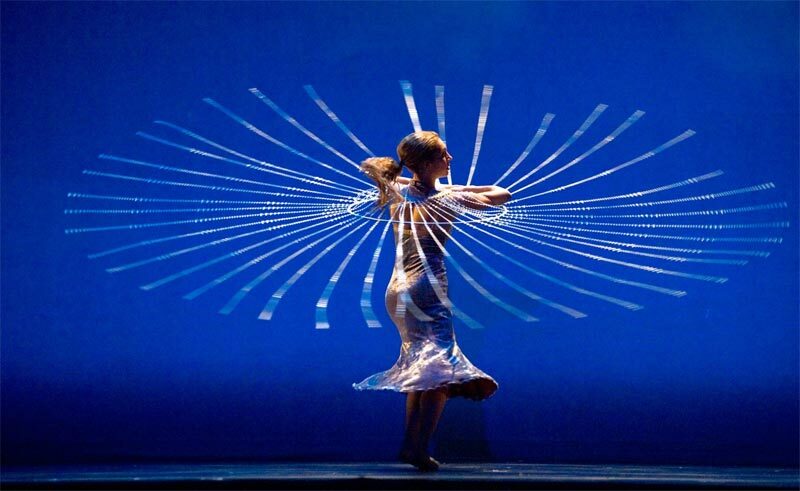 In another, a dancer spins around the stage like a whirling dervish while donning a webbed costume which takes on a life of its own when met with centrifugal force. The most significant blending of prop and prowess, though, is found in a psychologically and visually-stimulating act where a prostrate female dancer crawls and spins atop a raised and mirrored surface, looking like an insectoid creature when she and her reflection are viewed in tandem. Supplemented by a soundtrack one might find in the New Age or World Music section of any record store, the backdrop of Botanica is crafted from both the airy heights of Celtic faerie music and the depths of thundering percussion blanketed by moody vocals. This was at times welcome and tantalizing — but in the same vein as New Age imagery that features waterfalls and forests peppered with self-help quotes, Botanica has many moments of over-the-top cheesiness. When, for example, an entire stage fills with dancers waltzing around with imitation trees while a goddess sings atop, I can certainly appreciate the homage to nature and maybe even lightly enjoy the music, but the execution not so much, save for the beautiful lighting. It was almost as though these moments were put in place to ask the audience, “Are we really being serious right now?” And despite occasional stilted chuckles from the audience, it seemed more often than not that the answer was an emphatic yes. It was only with the greeting from a giant face-on projection of a seagull, followed by a dancer imitating a bird cawing and another rollerskating by in true iceskating champion form, that I began to slightly appreciate the silliness a smidgen, whether it was intentional or not. I’m not going to pretend like I understand some of the cringe-worthy choices in Botanica or that I love it when human beings are imitating animals or plants. I can definitively say that I really don’t. But nonetheless, I respect what the creators are trying to do with Botanica. Even if it fell short of my expectations for mind-blowing psychedelic visuals, what is actually most notable is the show’s ability to be psychologically psychedelic. One is often completely bewildered as one tries to piece together certain executions and motivations on the part of the creators. I never once saw a concept or a prop coming my way until it did; Botanica‘s ability to make left turn after left turn is fun, and at the very least, its glowing moments are radiant.